It is a bit late but not too late to congrats our former volunteer teachers Mr Phlom THLOK and Ms. Samet SIN for successfully graduating from their one year intensive course on Tourism at Paul Dubrule Hospitality school. Congratulation Phlom! 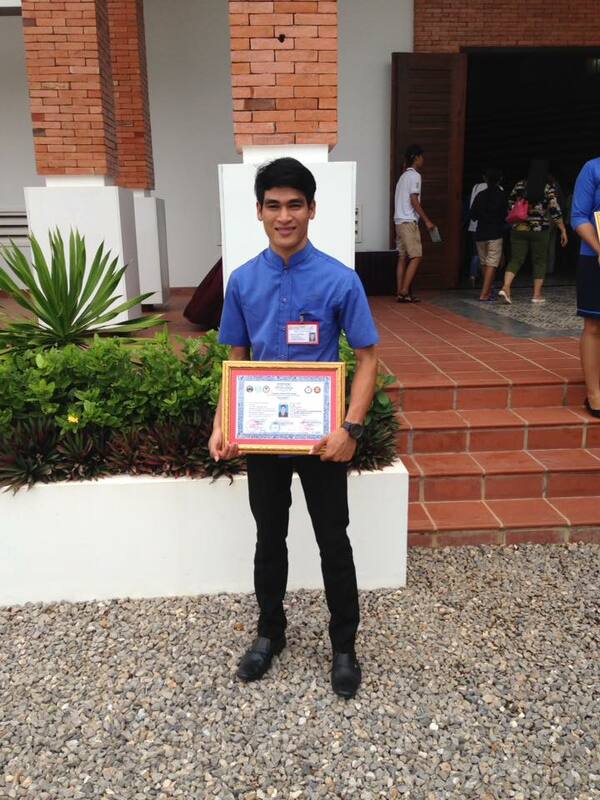 Just to let you know that Phlom is now started his tourism career in an Inbound Tour Operator in Siem Reap now. Taking this opportunity and on behalf of Phlom, his family, AKC family as well as all the stakeholders would like to proceed our gratefulness to all his supporters especially the family of Larson who cover the entire course fees, Asia Natural Tour who introduced the family to Phlom’s family and One Step One Life for sponsoring Phlom’s basic living cost. 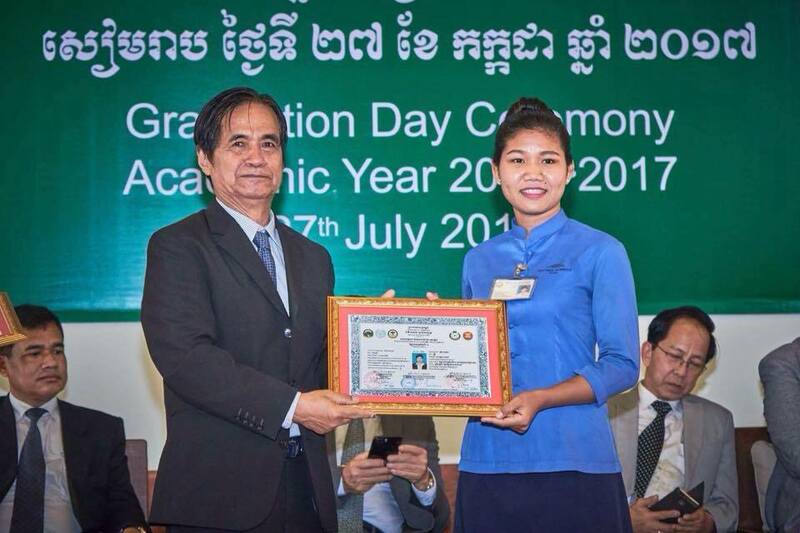 To learn more about the story of this scholarship and how Phlom moved on to the school and having a proper job, you might be interested in reading this earlier blog Phlom THLOK Steps on Another Stone. What made us as the family of Angkor Kids Center / All For Kids Organization prouder, this year not only Phlom who graduated from this course, Ms. Samet SIN who was also our former volunteer teacher celebrated her graduation of the tourism course as well, sponsored by One Step One Life. Big Congratulation Samet! Want to give our team back of what they have contributed to Angkor Kids Center, use this sponsorship example to give. Contact Us now for further details.